San Jose, USA, October 16, 2018 – Lexar, a leading global brand of flash memory solutions, today announced the new Lexar® JumpDrive® Fingerprint F35 USB 3.0 Flash Drive. 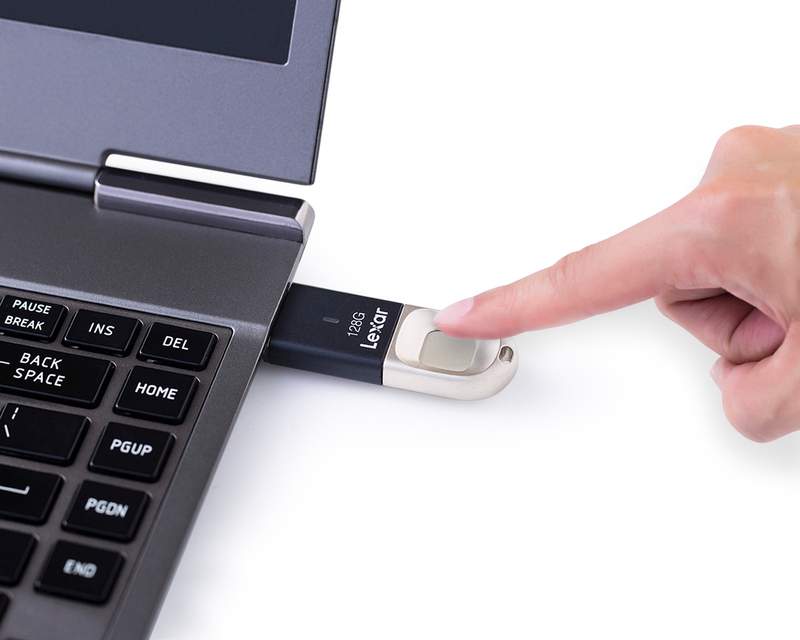 One of the most secure USB 3.0 flash drives available, Lexar JumpDrive F35 uses an ultra-fast fingerprint authentication that allows you to protect your data against unauthorized users – in under one second so that you will have no discernible impact on workflow. The F35 can save up to 10 fingerprint IDs, making sure only you and your closest collaborators have access to your files. It also boasts an easy set-up with no software driver required*, so you can quickly start transferring your files with speeds up to 150MB/s. ** And for added peace of mind, it also features an advanced 256-bit AES security solution to protect your valuable files. *Fingerprint registration software only compatible with Windows XP, Vista, 7, 8, 10. Software required to create/edit accounts and adjust partition size. Regular flash drive use compatible with Windows, Linux and macOS.